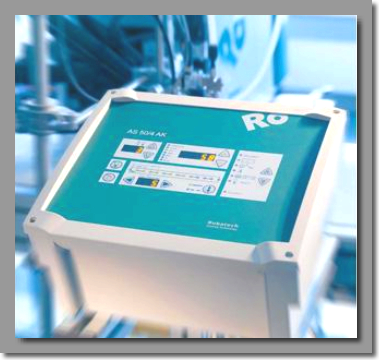 The Robatech AS 50 is a distance-based pattern control with programmable output voltage and over excitation for precise applications of adhesive at variable speeds. The control permits to activate up to four glue heads for the application of hotmelts and coldglues in programmable patterns. The model AS50 AK corresponds to the applicator control AS50, but additionally features inputs for checking of the applied glue by means of various verification sensors.